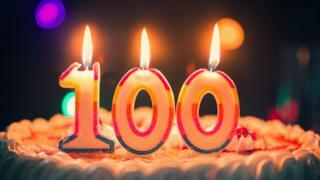 Forget 70 - what will the NHS look like at 100? The NHS is turning 70. It's a time for celebration. But like any big birthday, it naturally prompts thoughts of what is to come. What will the NHS look like in the future? Let's see if we can forecast what the health service will be like on its 100th birthday. Will there even be an NHS? It seems inconceivable that there won't be. Tory politician Nigel Lawson once famously said ".... the NHS is the closest thing the English people have to a religion". It means all political parties talk about the NHS being a priority. Earlier this month Prime Minister Theresa May was unveiling a new funding settlement - or birthday present, as it was dubbed - for the health service. It shows what a special case the health service is, given it's the only area of spending that has been agreed outside the normal process. Even the prospect of introducing more charges, for example for seeing a GP, missing a hospital appointment or using A&E, have been quickly dismissed by ministers of all colours in recent years. It suggests, says Nigel Edwards, of the Nuffield Trust think-tank, that "short of a huge political or economic upheaval" the NHS will still be here in 30 years' time. But if you look even further ahead, the public is not so sure. Polling carried out by Ipsos MORI for the Health Foundation found 23% thought the NHS would not exist in 70 years' time. The 1960s featured a huge programme of hospital-building, creating the network of district general hospitals that are still in use today. These were upgraded by the Blair government, which struck deals with the private sector under PFI to renovate sites and build new ones. But there is now an undoubted shift away from hospital care. Everyone is agreed that the time has come to move care out of hospitals and into the community. It is cheaper and often better for the patient - older people are particularly at risk of losing their independence the longer they spend in hospital. You won't find too many people saying this trend should continue - with a growing and ageing population we may well have reached the minimum needed. But certainly there is an appetite to concentrate the most specialist care in larger centres, allowing more basic care, from diabetes consultations to minor surgery, to be carried out in smaller, community centres and GP hubs. The result could be the closure of some of those district general hospitals. They already are. Or at least robotic-assisted surgery, where doctors control robotic equipment from a console. The equipment can be more precise and is able to go where human hands could find it difficult to reach. But having a robot carry out an operation independently of human control is another thing altogether. What is more, the public do not seem so sure they would want that anyway. The Ipsos MORI poll found only 22% though the benefits of an autonomous robot doing surgery would outweigh the risks. However, artificial intelligence is starting to be used elsewhere. One of the most interesting opportunities is using algorithms to interpret scans. Dermatology and pathology also provide promising avenues, which is why Sir John Bell, the life sciences tsar, identified it as a potential "big win" for the NHS. In fact, technology overall is perhaps the area where we could see the biggest changes. The flip side is that it is hard to predict what will happen. Fifteen years ago the human genome was sequenced and that was meant to unlock a revolution in healthcare. Things are progressing, but it's not been as rapid as many predicted at the time. But could there be a new era of medicine? Genomic medicine - tailoring care based on an individual's unique genetic code - is beginning to change the way people are cared for. Genes can predict if a woman with breast cancer might respond to certain drugs, or whether radiotherapy is likely to shrink a tumour, for example. England's chief medical officer, Dame Sally Davies, has urged the NHS to move more quickly and embrace the "genomic dream". Others have said much the same about digital technologies. Video consultations are beginning to be used to connect care homes and hospitals, while telecare is being installed in people's homes to allow health and care staff to remotely monitor and interact with vulnerable patients. But again progress has proved slow. While many of our daily activities are now done online - from shopping to socialising - the NHS still relies very heavily on older technologies. The service is said to be the biggest purchaser of pagers, faxes and stamps in the world. If nothing else, that should certainly change by the time the NHS is celebrating its centenary year.